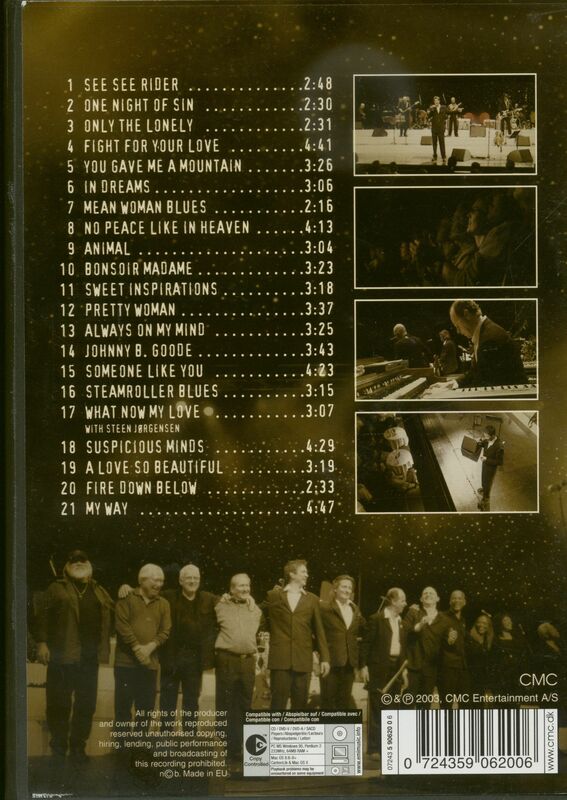 (CMC) PAL, Code 2, 21 tracks/performances (CD&DVD), Color, Live Concert featuring members of Elvis Presley's Live Crew. 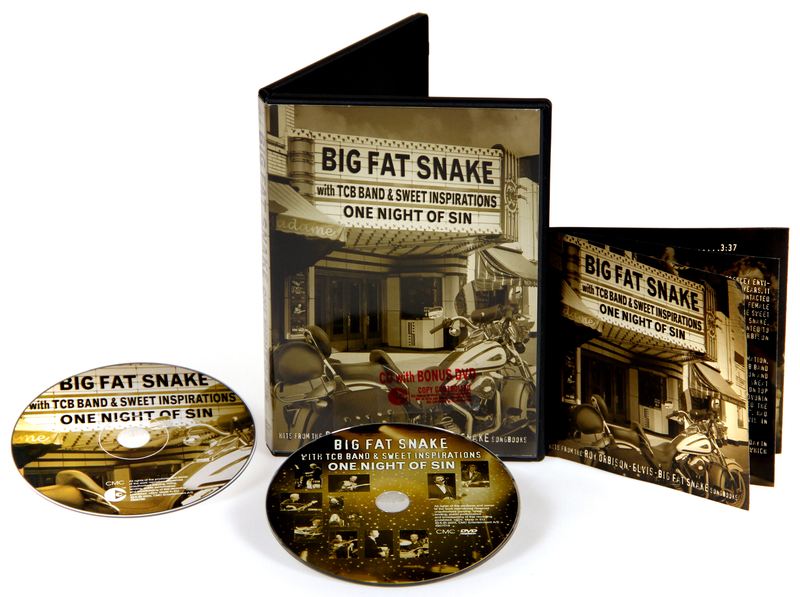 Hits from the Roy Orbison, Elvis Presley and Big Fat Snake songbooks. 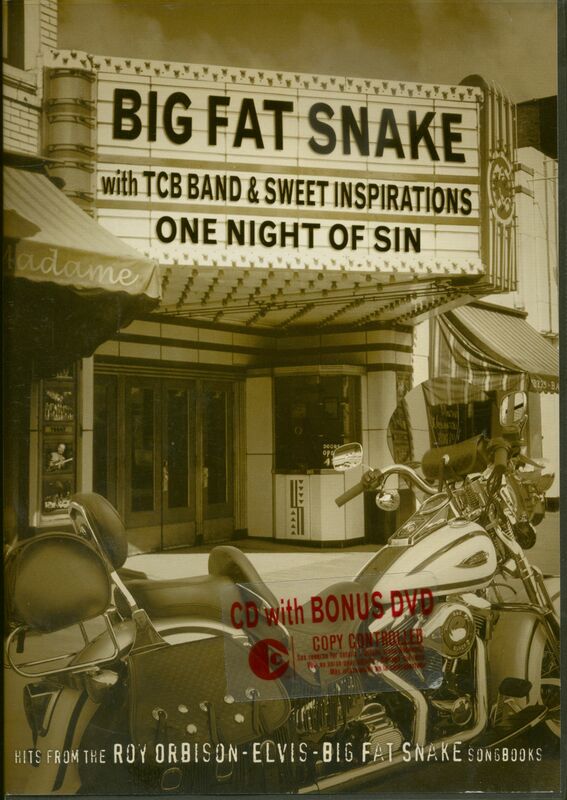 Customer evaluation for "Big Fat Snake With TCB Band & Sweet Inspirations - One Night Of Sin (CD+DVD Set)"